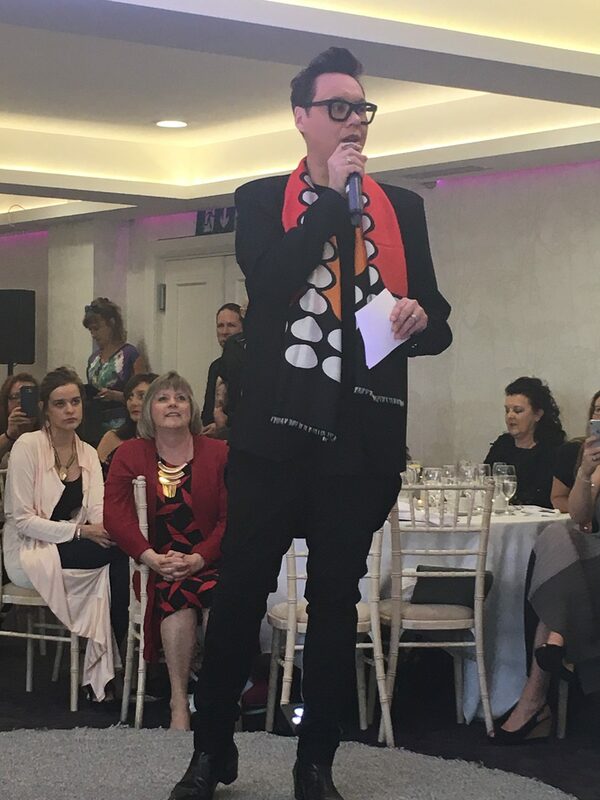 The day finally came where Gok came to Cardiff to host his ‘Fashion Brunch Club‘ and what a day it was! 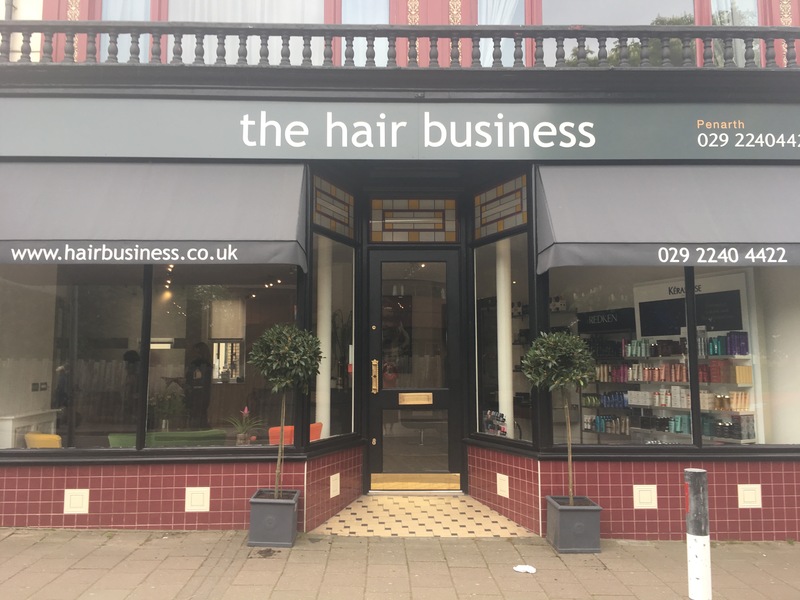 To mark this ultra exciting event, I decided to visit our new and very ‘top-notch’ hair salon here in Penarth ‘The Hair Business‘. 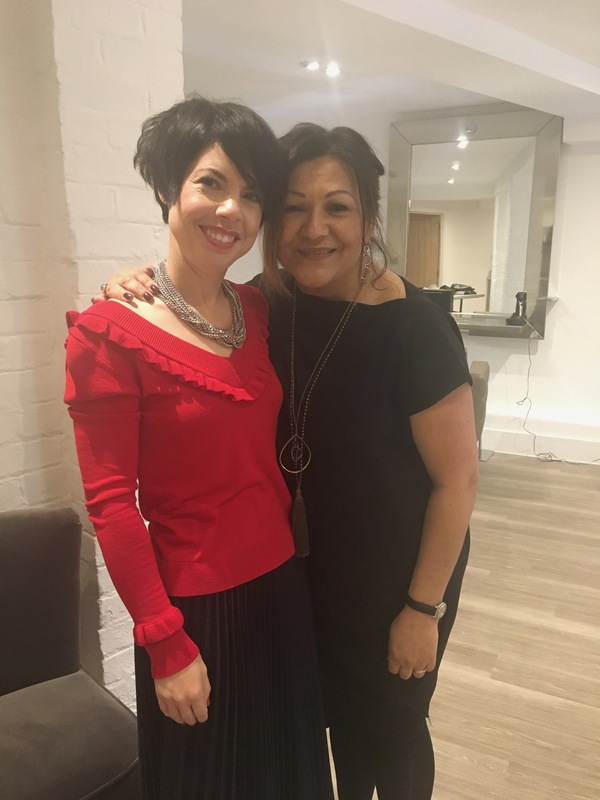 As I was going to see “Gok”, I had to book in with – Leigharne the owner and style Director of the salon and I am so glad I did. Leigharne works magic with her fingers and I was so pleased with my blow dry – I just wish I could re-create this look everyday, but no such luck! 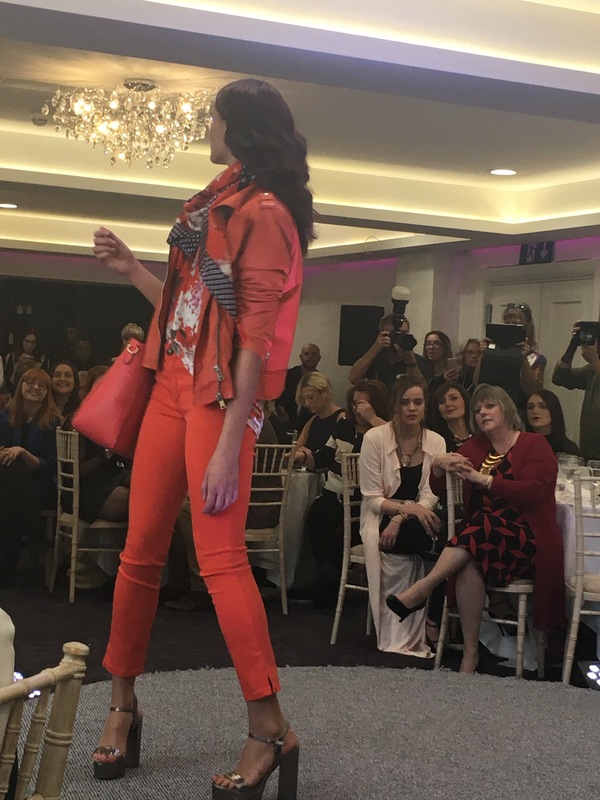 The event was booked from 11am – 3pm and there was a little waiting around but the atmosphere was incredibly relaxed. Once seated at the beautifully laid tables, we had what was much more like a two course lunch rather than brunch and the food was delicious. 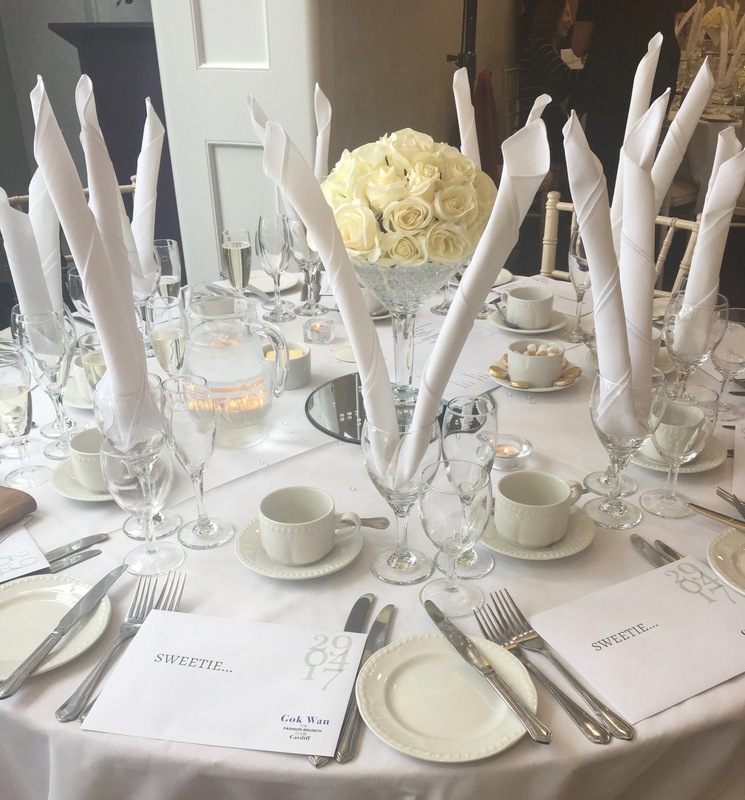 There were lovely envelopes placed at each table setting with a sparkly token for our goody bags, which all added to making each guest feel really special! 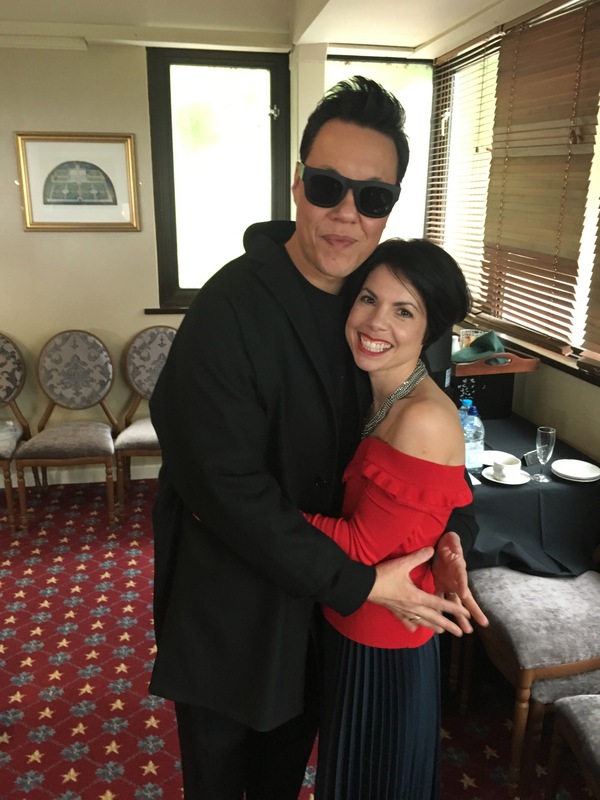 Gok hit the nail on the head for many of us who have worked so VERY hard to cut our way in the fashion industry, by noting that fashion should be so much more inclusive – music to my ears! 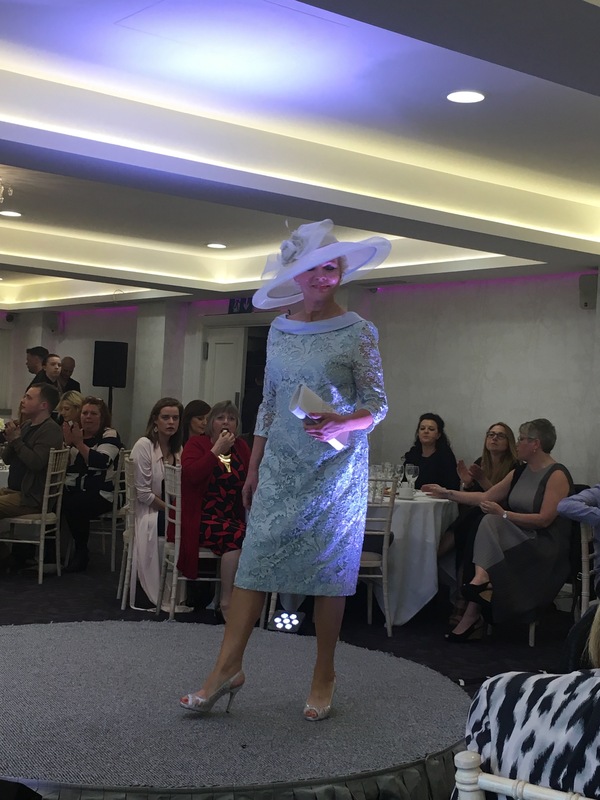 This is why and how the Fashion Brunch Club came about, to help local independents and businesses get recognition and be supportive of one another – music to my ears! 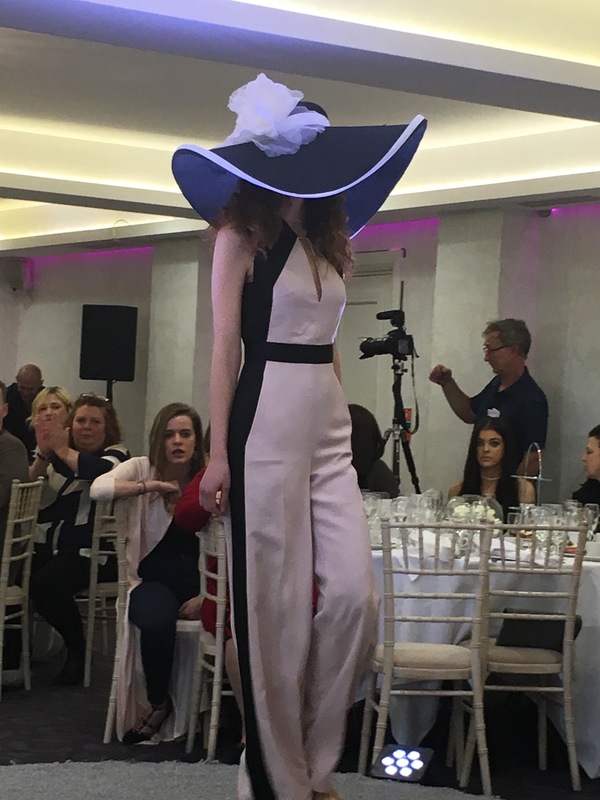 So the catwalk show began and we saw beautiful occasion wear, bridal wear, lingerie and sportswear as well as amazing hats and fascinators. 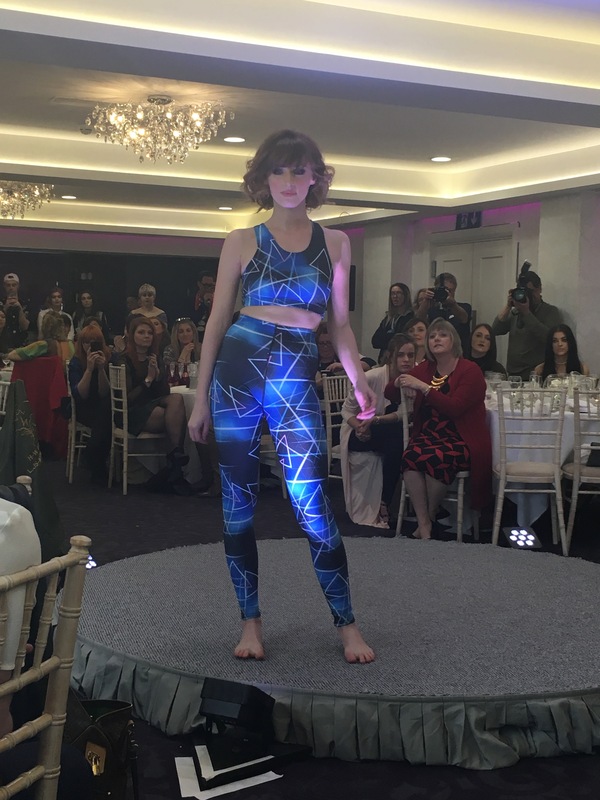 None of the models were unhealthily skinny which resonated with Gok’s ‘real women’ ethos – again a big tick there. 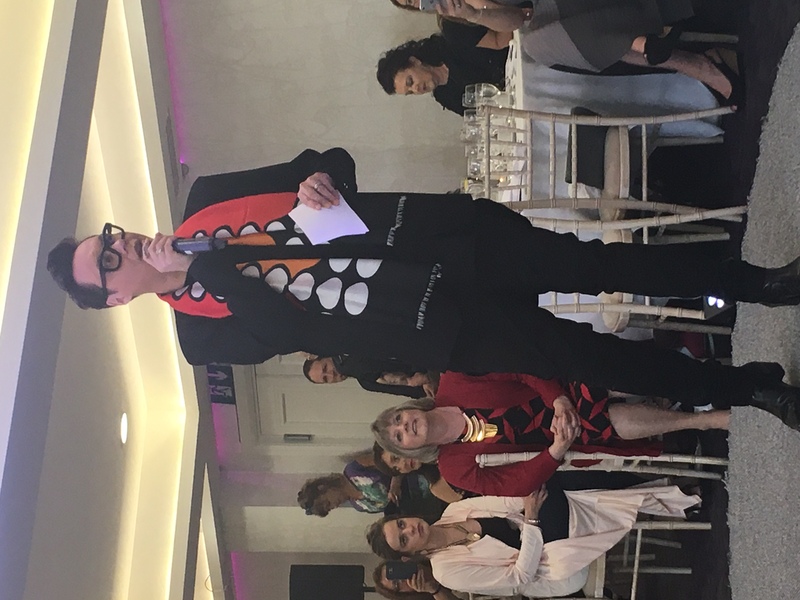 There was a very interactive body shape masterclass where Gok went through some top tips to dress for various body shapes and of course there was lots of laughter as he discussed the correct fitting bra! 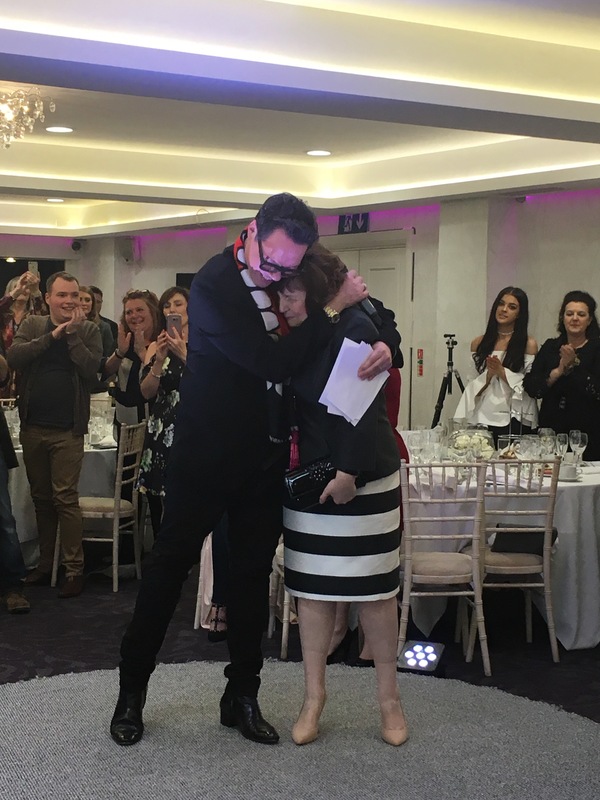 What was lovely was his make-over of one very lovely lady, his passion for making women look and feel good is evident and he gave her the most heartfelt hug when she braved facing the audience – not easy for some. I got so much out of the day, not only through enjoyment but also because it turned out to be a fantastic networking opportunity. I was able to speak to some local brands/businesses that I had heard of or follow on social media but never actually met and this was really valuable. I am a firm believer in collaboration and as Gok advised “Never burn any bridges”. However, the true highlight of my day really did come at the end. 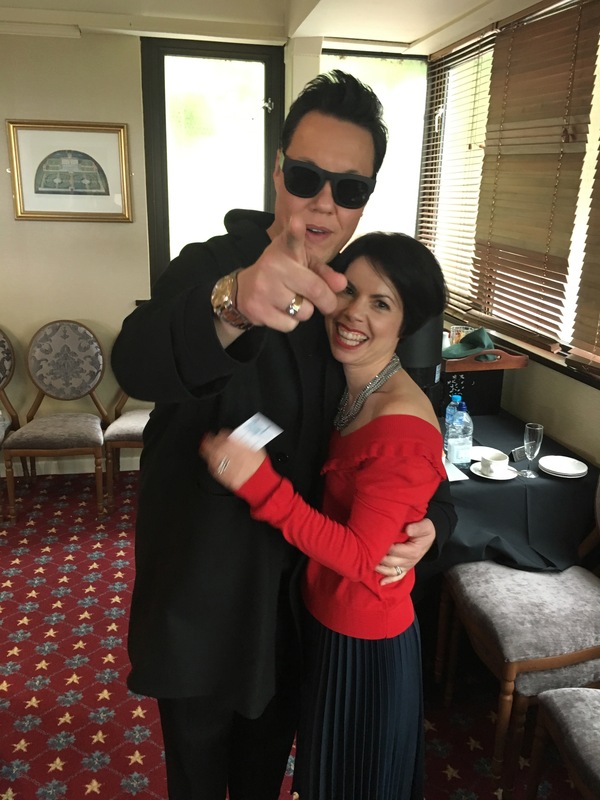 Ok, so I loitered, really loitered….but I had kind of/maybe been promised-ish a photo with Gok but nothing was set in stone….so I loitered….a lot!! And then it happened, lovely Jack, part of Gok’s team gave me the wink to say “come on Loiterer, he’ll see you now!” So up the stairs I went to find my (hero) in his sunglasses (he had a hangover) and I tried to play it cool. However, I lost all that ability and gave him a rather big bear hug which resulted in me looking like a ridiculous cheshire cat. One friend said “could you show anymore teeth?” Charming! Now being over that shame, I can honestly say I had a truly wonderful day. 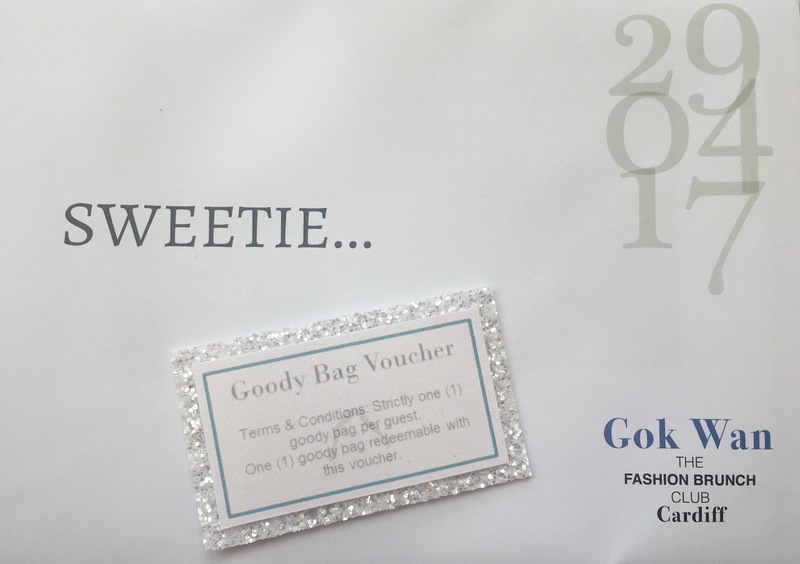 Gok and his team are super friendly and down to earth and I feel we have someone in the industry who gets it – really gets it. I just wonder when I tell him he is my new BFF or is that way to uncool? ?